This week's Daily Record column is entitled "Social Media Latest Networking Tool for Lawyers"
All lawyers understand the importance of networking. Interacting with colleagues, current clients and potential clients is a surefire way to increase business opportunities and referrals. In the past, networking traditionally occurred in many forums, including events sponsored by bar associations or other professional organizations, on the golf course or while participating in community activities. Not all lawyers relished the concept of networking, but the general school of thought was that it was a necessary part of doing business, and staying cooped up in an office day in and day out was counterproductive to rainmaking. With the recent explosion of social media and online networking opportunities, however, traditional notions regarding networking may no longer be applicable. The time-tested, traditional methods certainly still apply, but emerging social media technologies are expanding networking opportunities exponentially. Social media appears in many forms, including e-mail, blogs, online forums and message boards. The ability to network with other lawyers and potential clients from the comfort of your office, on your own terms and your own schedule, is now a reality. The only drawback to this new form of interaction is that it is not time tested, and its effectiveness has yet to be proven. Nevertheless, opportunities to network online are increasingly available and lawyers who ignore the possibilities do so to their own detriment. Examples of social media applications that facilitate professional and social networking include Facebook, LinkedIn and, most recently, micro-blogs such as Twitter. Facebook, likely the most well known of the three networking sites, originally launched as a social net- work for college students, but was opened to the public in September 2006. While it remains predominantly a social network- ing site, it can provide valuable professional networking opportunities for lawyers. Over the last year, lawyers have flocked to Facebook in droves and created networking groups centered around various areas of practice. It is a cost-free and useful way to meet other lawyers from across the country and to re-connect with law school and undergraduate colleagues. LinkedIn is a free online professional networking site that consists of a membership “of more than 20 million experienced professionals from around the world, representing 150 industries.” Its primary goal is to increase business opportunities for members by providing the ability to connect with potential clients, employees, employers and other members of their profession. LinkedIn has been around for a while now and shows promise. Only time will tell if it will live up to its potential as a professional networking resource. One of the newer, emerging technologies seeing a huge amount of growth is Twitter. In my opinion, it is one of the most promising professional networking resources available. Twitter is a free networking and micro-blogging service in which conversations occur in, at the most, 140-character snip- pets. Once a member, you can locate others with similar interests or backgrounds through a directory such as Twellow, then follow and reply to Twitter posts. There has been a great influx of practicing and non-practicing lawyers onto Twitter in recent months, allowing for exchanges on topics such as recent court decisions and law practice management. In addition to facilitating law-related discussions, Twitter allows member to get a good feel for the people with whom they converse, since posts also include people’s thoughts regarding their day-to-day activities and current events. The ABA Legal Technology Resource Center recently explored a number of search engine options available for the legal practitioner, aside from the usual choices, such as Google or Yahoo. PreCYdent, a fairly new legal search engine was one of the more notable mentions. This post is worth a quick read, as are many of the posts on this useful blog. JD Supra is yet another great addition to the ever-expanding universe of web resources providing free online legal research. It offers "free access to a constantly expanding database of legal documents (filings, decisions, forms, articles)." The site allows you to search for documents by jurisdiction and allows you to limit search results to certain types of documents, depending on what your needs are. The New York State database doesn't appear to be particular large at this point. A generalized search(with no limitations as to the type of document) for "CPLR" yielded only four results. However, as more New York practitioners participate, it will be likely become a useful and valuable resource. It likewise provides lawyers with the ability to create an online presence by creating profiles at the site and posting information and documents at JD Supra within their areas of practice. It's an interesting concept and a great resource. Thanks to New York Civil Law for pointing out that the Appellate Division, 1st Department, now offers online access to its Decisions and Order in both html and pdf format. The information can be accessed here. This week's Daily Record column is entitled "Technology, Web 2.0, and the Practice of Law"
Many lawyers find themselves overwhelmed with their workloads and as a result, keeping up with technological changes is relatively low on their list of priorities. It shouldn’t be. Technology is dramatically altering the legal landscape, and if you don’t make an effort to keep up, you’ll be left behind with a dust cloud swirling around you, wondering what hit you. While learning about emerging technologies may seem like a daunting task, it needn’t be. There will most certainly be a learning curve, but the effort spent familiarizing yourself with new technology will pay off immensely in the long run. A great place to start is at the website my colleagues, Greg Back and Matt Lerner, and I created to complement a continuing legal education seminar recently held at the Monroe County Bar Association: Practicing Law in the 21st Century--Practice Management and Substantive Law Resources on the Internet. This website, a blog, is predictably called Practicing Law in the 21st Century. The blog highlights readily available internet resources and tools that will allow lawyers to practice beyond the four walls of their law office and become more productive, more efficient and less stressed. It provides links to a vast assortment of cutting edge law office management tools, productivity tools, links to free legal research sites, and free substantive resources. Many of the tools highlighted on the blog are considered to be part of the next generation of Web 2.0 applications. Of course, after reading the previous sentence, you might be wondering: What exactly is Web 2.0? In other words, Web 2.0 is a living, breathing, evolving World Wide Web, which increasingly relies upon the participation and collaboration of its users. Websites are no longer static, information-providing pages. Rather, they are ever changing and responsive, with the content being envisioned, generated and shared by a participatory web community. Much of the content is created and stored online using web applications, as opposed software downloaded to individual computers. YouTube, Wikipedia, blogs, and Flickr are prime examples of Web 2.0 in action. One of the Web 2.0 applications that was a favorite of many participants on the CLE panel was Jott, a free reminder service that, among other things, allows you to call your Jott account vis a toll-free number and dictate a note which is transcribed and sent to you via email or text message. Another very useful Web 2.0 application, Zamzar, provides free online file conversion. This web applications converts uploaded files into any number of formats, from, for example, Word to WordPerfect, and sends the converted file right to your email inbox. Also of interest to many participants were the office suites available online at no cost, which offer the ability to create word processing documents, spreadsheets and online presentations, much like Microsoft Office. Zoho,Open Office and Google Docs are well-known and popular online platforms that provide these services. Another tidbit that caused a stir amongst seminar attendees was the fact the entire New York Code of Rules and Regulations is newly available for free online. Also of interest was a useful and free online database containing the municipal codes of nearly every town and village in New York State. These websites are just the tip of the iceberg. Head on over to the blog and explore it at your leisure. Embrace technology and learn how to practice law in the 21st century. I promise--it will be relatively painless. You might even find it to be an interesting, educational and enjoyable experience! Today, I participated in a CLE, Practicing Law in The 21st Century, with two fellow bloggers, Matt Lerner of the New York Civil Law Blog and Gregory Bell of the Jazz@Rochester blog. The venerable Charles Inclima was our moderator. In conjunction with the CLE, Greg, Matt and I created a blog, creatively named: Practicing Law in the 21st Century. Our goal is to periodically update the blog with new resources and information. Check it out. If I may say so myself, it's a great resource! 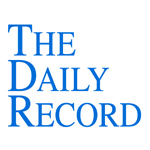 This week's Daily Record column is entitled "Practicing Law in the 21st Century." The article is set forth in full below and a pdf of the article can be found here. Rapid technological advancements have changed the way the world functions; the practice of law has not been exempt from this change. The landscape of the legal field has been dramatically altered by the advent of high-speed Internet, email, data phones, and remote office capabilities. Law firms are now grappling with issues of e-Discovery and e-filing is becoming commonplace. These issues have been at the forefront of my mind in recent weeks, as I prepare for a CLE that I’ll be participating in at the MCBA on May 15, 2008, from 9 am-noon: “Practicing Law in The 21st Century — Practice Management and Substantive Law Resources on the Internet.” The goal of this CLE is to make technology more accessible and useful to lawyers in their practices. Technology has made the practice of law simpler for some, while other attorneys find themselves struggling to keep up with the changes or, alternatively, ignoring technology in the futile hope that it will simply disappear. The fact remains, however, that technology is here to stay. In order to succeed in a rapidly evolving marketplace, lawyers must embrace change and learn to use technology to their advantage. 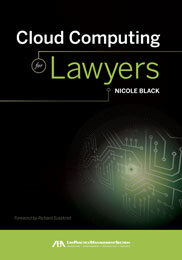 Computers and the Internet can be used to improve all aspects of a law practice. The Internet and data phones allow lawyers to obtain information anywhere, anytime. Office servers can be accessed remotely on data phones or home computers, thus allow- ing lawyers timesaving flexibility. A lawyer in the middle of trial can now step into the hallway and conduct legal research via a data phone. Vast amounts of information relevant to the practice of law can be obtained online. In addition to the traditional Web-based legal research companies such as Westlaw and Lexis-Nexis, there are now low-cost Web-based research alternatives available. And, if you know where to look, large amounts of information can be accessed online at no cost, including case law, both federal (1997-present) and New York (from 1995 to the present). New York and federal rules and regulations are also available, as are New York State Attorney General opinions and the 2007 Codes of New York State. Online resources can keep attorneys current and on top of changes in their specific areas of practice as well. Online news articles and legal blogs are great tools in this regard. There is also a vast assortment of cutting-edge resources avail- able on the Internet to assist attorneys in managing their productivity and their law practices. There are low cost Web-based practice management systems that can replace traditional software. Free Web-based email, calendaring systems, word-processing, and phone and fax sys- tems can replace traditional and costly alternatives. Networking opportunities abound online. Between listservs, professional networking sites such as LinkedIn and social networking sites such as Facebook, lawyers have more opportunities than ever to interact with and learn from lawyers across the country. Of course, technological change has made certain aspects of legal practice more difficult and confusing. The most evident example of this is the ever-prevalent issue of E-discovery. Since the amendment of the Federal Rules of Civil Procedure in December 2006, businesses and their lawyers have struggled to respond to e-Discovery requests and to alter their business practices in order to preserve e-data and thus avoid sanctions under the new rules. Fortunately, there are a number of free and useful resources on the Internet, which can assist attorneys in complying with the new rules. In addition, there are companies that now assist businesses with the e- Discovery process, such as DocuLegal. There is no question that technology has transformed the legal profession and will continue to do so in the future. Rather than keeping your head in the sand, why not embrace technological changes and learn to use them to your advantage? The short-term investment will be minimal and the long-term pay off will be huge — not a bad trade-off, all things considered. The 2007 New York State Codes are now available for free online here. 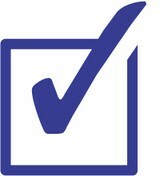 Included are provisions governing Building, Fire Prevention and Energy construction in New York State. Thanks to the NYSBA General Practice Blog for pointer. The Public Library of Law: Via Fastcase access to cases from the U.S. Supreme Court, Courts of Appeals Cases from all 50 states back to 1997, federal statutory law and codes from all 50 states, and regulations, court rules, constitutions, and more. AltLaw: Provides searchable text of the last few decades of U.S. Supreme Court and federal appellate decisions.